Organizations are being tasked with managing and analyzing growing volumes of streaming machine data in real time, particularly from the Internet of Things. The tools they use to accomplish these tasks need to be efficient, intuitive, and flexible. Technologies like Apache Kafka and Spark have tremendous potential, but how do they integrate with and enhance your organization’s current data analytics stack? Join Eamon O'Neill as we demonstrate how HP Vertica, a leading SQL analytics database, natively integrates with Apache Kafkfa and Spark to ingest data streams and high-volume, in-memory data for large-scale machine learning and graph analytics. Handle varying machine data formats with "schema on need"
Eamon O Neill is the Director of Product Management for Vertica — the industry's leading platform for analyzing massive volumes of data with blazing-fast performance. He is responsible for the SaaS, on-Hadoop, and on-premise, offerings for Big Data analysis in the Software group at Hewlett Packard Enterprise. 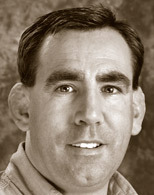 With more than 15 years of high-tech product experience and deep knowledge of mobile applications, databases, software defined networking and storage, marketing automation, and distributed systems, Eamon had a founding role in the creation of the cloud services platform at BladeLogic (now BMC Software). In addition, Eamon held product management, software engineering, presales, and business consulting roles, at Unica (now IBM), Rubric (now Verint), and Cambridge Technology Partners. He can be reached at eamon@hpe.com. 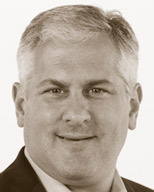 Jeff Veis is the Vice President of Marketing for HP's Big Data Business Group within HP Software. He is responsible product, solution, partner, and developer marketing and community initiatives on a global basis which includes HP's strategic Haven Big Data Platform computing cloud and enterprise initiative. Jeff has been in the enterprise software industry for more than 20 years and has experience in marketing, strategy, sales, and partnering. He founded the Liberty Alliance Project, a global federated identity technology and public policy business and technology alliance. Prior to joining HP, Jeff worked at SAP BusinessObjects, BEA, Sun Microsystems, ActiveGrid, later acquired by VMWare, NEC, and Booz-Allen and Capgemini. He holds a B.S in Computer Science from Northwestern University and a MBA from the J.L Kellogg Graduate School of Management. He is based in Sunnyvale, California. He can be reached at jeff.veis@hp.com.